I've got a fever, and the only prescription is more tax cuts! Last December, Congress enacted sweeping tax reform that promises to increase take home pay for millions of workers, and has already led to huge bonuses for working men and women across the country. Hardly a day goes by without big breaking news about another employer sending thousands of dollars home with each of their employees. AT&T. Boeing. Wells Fargo. Fifth Third Bank. Yesterday it was Waste Management promising a $2,000 give-back to most of their staff nationwide. 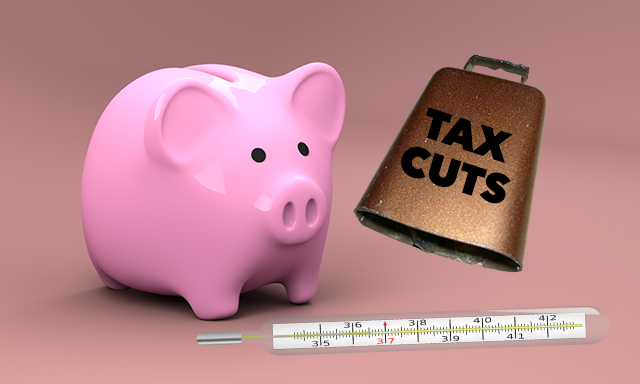 What’s more, all of these huge headlines finally have lawmakers in Lansing taking a serious look at tax relief for Michigan workers as they work to ensure the state’s tax code isn’t at odds with the new federal cut. They should. A decade ago, Jennifer Granholm socked Michigan workers with a massive income tax increase. It’s well past time lawmakers undo that hike – and go further! If the federal tax cut has taught us anything these last few weeks, it’s that when government takes less, workers win big. Michigan workers deserve a bonus. Lansing can deliver. Cut the state’s income tax.